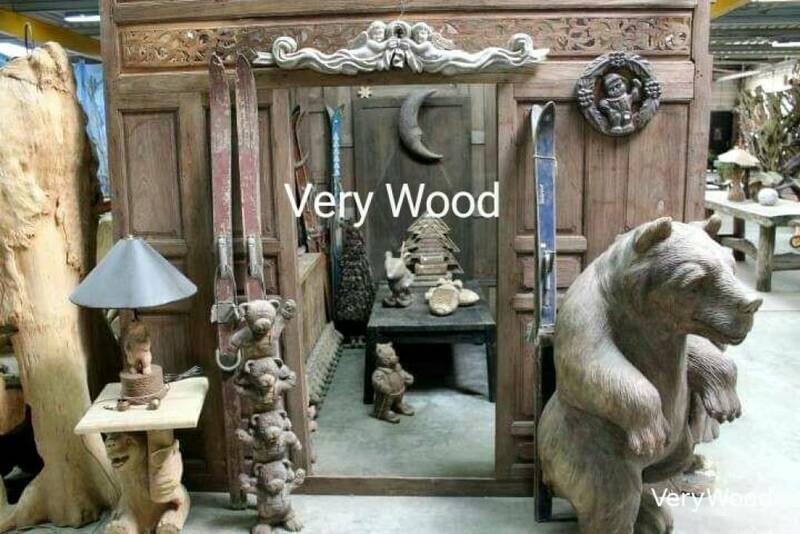 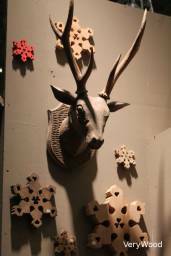 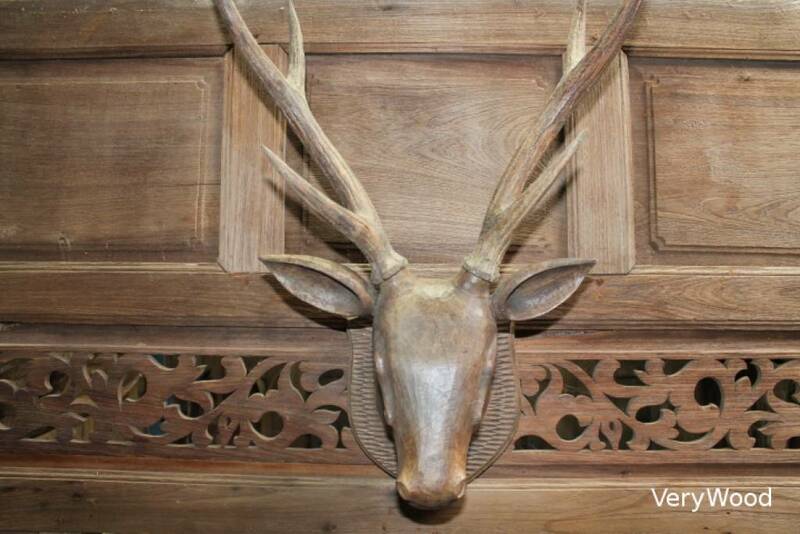 This superb wall décoration is proposed to you by Very Wood Deco. 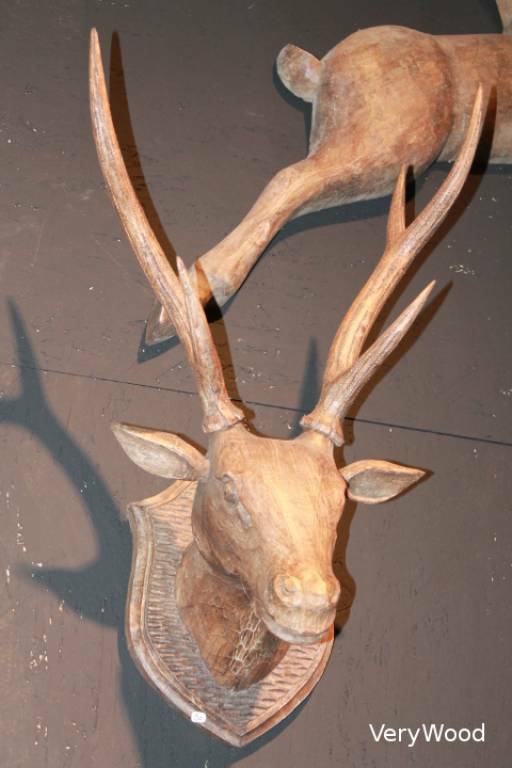 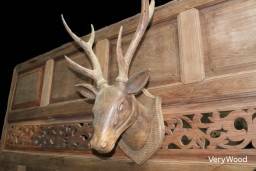 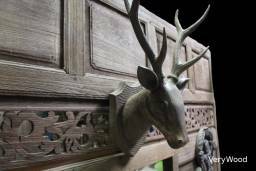 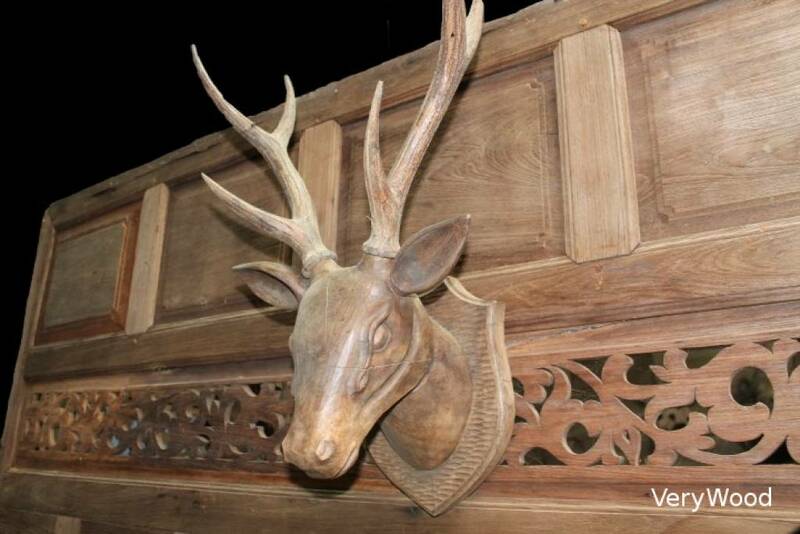 Wooden head of deer sculptured ( deer trophy ) who will come to complete your wonderful decoration on the theme of the mountain. His size is h.60 x 41 cms and horns are knockdown.